Our heroine’s about to be sold into Mexican child slavery, and that’s when the casual viewer begins to sit up and take notice, to realize that the girl’s cartoon Candy Candy is going to go way, way past frilly dresses, young loves, and funny animal sidekicks. Located somewhere near the kitsch-intersection of Mauve Decade tearjerker and 1970s anime, the struggles of Candice White Adley conquered shoujo manga, became a Toei anime and a worldwide phenomenon, and today are notable by the giant gaping hole its absence leaves in our pop culture map. Want a forgettable romantic comedy starring a generic smiling tomboy and her charming pets? Go watch Lun Lun the Flower Angel, you wuss. 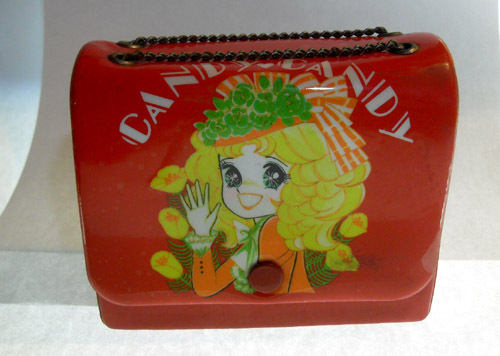 Candy Candy is the real deal; a 100% tear-injected emotion-wringing pile-driving machine that spares nothing in its drive to deliver repeated jack-hammer emotional shocks to Candy. But Candice White can take it. With a Shonen Magazine hero’s sense of justice and the horseback-lasso skills of a dime novel Wild West cowboy, Candy makes her own luck as she soldiers through an orphan’s life in the American Midwest, the social pitfall-infested lifestyles of the ultrawealthy, harsh British public school discipline, and the front lines of nursing during the pain and loss of a world at war. Even though her heart is broken again and again, a healing return to Pony’s Home puts her right and before you know it, she’s back out in the world blazing her own trail. 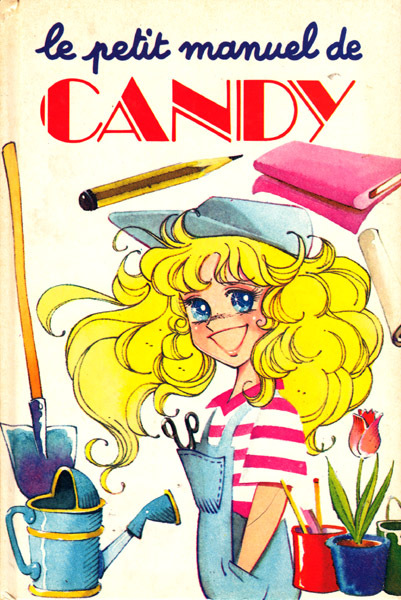 Author Kyoko Mizuki premiered Candy in a 1975 novel, shortly thereafter teaming up with mangaka Yumiko Igarashi to serialize Candy Candy’s adventures for several years in the venerable shojo monthly Nakayoshi. Mizuki and Igarashi teamed up again with Nakayoshi’s Tim Tim Circus while Mizuki herself created kiddy comedy series Shampoo Oji in 2007. Igarashi’s post-Candy career includes the popular shojo series Lady Georgie, some work on the Anne Of Green Gables manga, and creating the seminal character “Boo Boo” in the 1983 anime Crusher Joe. 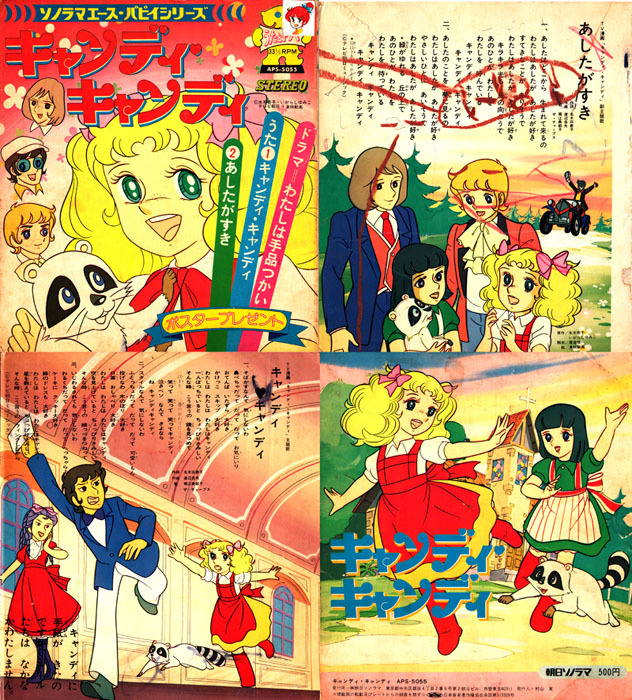 Toei’s Candy Candy anime series would premiere in October of 1976, airing at 7pm Fridays on NET (now TV Asahi) for the next three years, and that’s when the Candy Candy merchandise train really got up a good head of steam, creating a blizzard of licensed goods for Japanese kids and eventual headaches for everybody’s legal departments. But I’m getting ahead of the story. 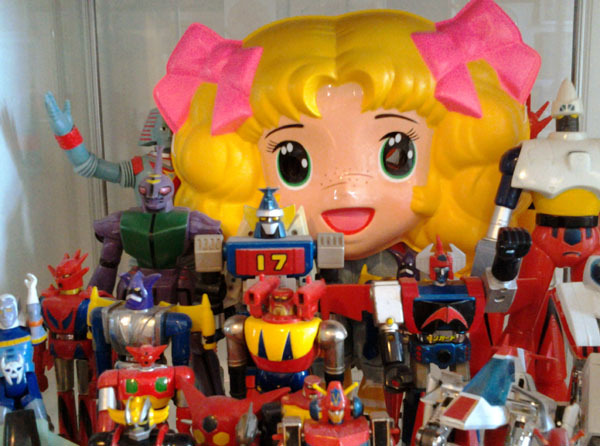 Candy Candy showed up right as Europe was going crazy for Japanese cartoons and, as the girls’ counterpart to popular super robot mayhem, proved successful in France, Italy, Spain, Russia, China, Korea, the Arabic nations, Mexico, Nicaragua, Venezuela, Peru, Portugal, Colombia, Costa Rica, the Netherlands, the Philippines, and Francophone Canada via the CBC. Echoing the changes inflicted on Japanese anime by American localizers, some of the less fortunate characters in Candy wind up “hospitalized” rather than “dead” in foreign versions. Sadly, the good old US wouldn’t get its Candy; apart from one videocassette release via ZIV, Candy Candy would never appear in her home country. Chances are the good citizens of La Porte Indiana have no idea their most famous daughter is actually a Japanese manga character. Candy’s destiny would see her adopted into and buffeted by the social machinations of the wealthy and powerful Adley clan. Brought into the venal Leagan branch of the family, as a playmate for the spoiled Neil and Eliza, Candy is protected by their noble cousins, Archie and Alistair Cornwall and the boy who strangely reminds her of her hilltop prince, Anthony Brown. Hated by the jealous Eliza, the malicious Neil, and their pretentious mother, Candy is saved from the Leagans’ ire when she’s officially adopted by the Adley family’s secretive patriarch, Grandfather William. Reunited with Annie, abused by Neil and Eliza, imperiled by the crazy inventions of Alistair, and saved from drowning by the teenage hermit Albert, Candy’s budding romance with Anthony is destroyed just as it begins, in the series’ first major tragic turning point that shocked a generation of young fans. Heartbroken, the children are sent to an exclusive English private school, and en route Candy meets the rebellious young man who will soon become very important in her life, the moody bad boy Terry. At St. Pauls, Candy will again face the wrath of Eliza as well as the stern discipline of an English public school, but even being unjustly locked in the punishment tower can’t break her spirit. Terry reveals his tender side one glorious summer in Scotland, but their relationship is sidelined by Eliza’s jealousy, and when Terry quits school and returns to America to follow his theatrical dreams, Candy follows. She braves the Atlantic as a stowaway and survives a snowy death-march back to Pony’s Home. Her newfound determination to become a nurse finds her in the Merry Jane Nursing School, where the stern Merry Jane labels her a “dimwit” and contempt positively radiates from her older fellow student Franny. The cataclysmic European war brings the young nurses to St. Joanna Hospital in Chicago to learn advanced surgical nursing training – where Albert, returning to the narrative as an amnesiac war refugee, needs Candy’s skill to survive. Terry’s acting career takes off as he grabs the lead in Romeo & Juliet on Broadway, and in spite of every plot contrivance, Candy and Terry reconnect. The rekindled flames of the Candy-Terry romance are threatened by sabotage from both Eliza and Susanna, Terry’s desperately lovesick costar. However, a tragic accident with a heavy stage light that finally destroys everyone’s chance at happiness, and the love triangle is demolished forever one snowy night in one of the more impressive displays of passive-aggressive behavior seen in the anime field, and only a healing retreat to Pony’s Home can help Candy recover. After a car accident Albert’s memory returns, and he’s faced with a momentous decision. A chance encounter on the streets of Chicago between Candy and Neil sparks a long-suppressed and possibly unbalanced desire. Candy has to deal with the repulsive attentions of Neil, while Eliza schemes to cause Candy eternal misery – halted at the last minute by the sudden appearance of the family’s patriarch, Candy’s mysterious benefactor Grandfather William. Candy learns not only the identity of Grandfather William but also the truth behind Candy’s first love, the “Prince on the Hill” – just in time for the series to end. Even for 115 episodes that’s a lot of story to get through, and I’ve breezed past so much – threatened by white slavers, Candy’s raccoon pet Kurin who was created just for TV, defying customs by smuggling said raccoon into England, Candy’s gender-bending waltz with Annie, the casual way Albert and Candy violate profound social mores by sharing an apartment, Candy demonstrating the horrors of mass warfare to a confused boy via a field of massacred cattle. We see fights in bars, a clinic that treats humans and animals alike, alcoholism, urban poverty, disease and death, crippled nurses returning from the Western front, and the tragic end to the romance between Alistair and Candy’s school chum Patty. Even the late-period “catch-up” story detour – to let the manga catch up with the anime, so they’d end together – is filled with drama, pathos, and cattle-stampede action. The anime series only occasionally matched Igarashi’s lovely manga artwork, and vast liberties were taken in regards to the geography of North America – there aren’t any mountain ranges in Indiana, and you can’t get to Mexico in a day via carriage- but even the limited palette of mid 70s TV animation can’t hide the power of Candy, whose reach was inescapable. 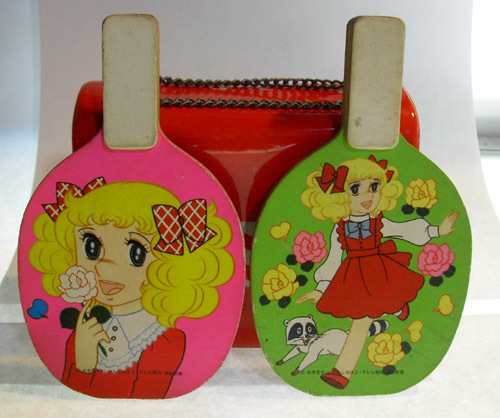 If you’re a woman of a certain age who was anywhere near a television in 1977-1980, you probably watched Candy Candy, read the manga, or bought the toy purse or the play house or the rack toys or saw the 1979 stage show starring Caroline Yoko… unless you lived in the States. Two short Manga Matsuri films and a 1990 Toei OAV retold key story points, and the third Mizuki novel carried the story further into the 20th century, but for millions the television series remains the Candy canon. It’s an entertaining show for all, no matter your age, ethnic background, or gender; the soap opera wizardry keeps you tuned in episode after episode to find out what fresh hell Candy will suffer next. I’m testament to this; I’m clearly so not the target audience for this show, and yet here I am, a middle-aged guy experiencing the confused stares of Mandarake clerks as I blunder through their shojo section, protected only by the presence of my wife. 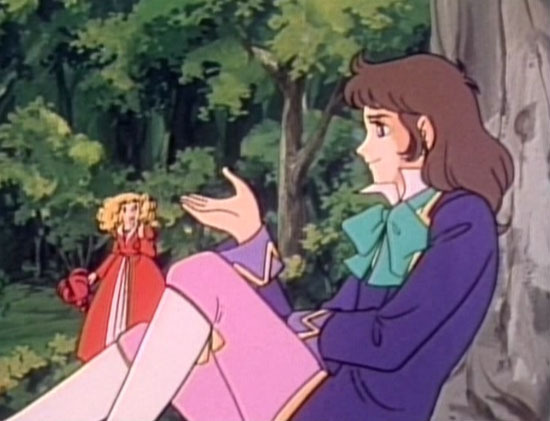 Beloved by girls on four continents, debate still rages over whether Candy should have ended up with Anthony, Terry, or Albert - Yumiko Igarashi married Anthony’s voice actor Kazuhiko Inoue, for what it’s worth in settling that controversy. Their son Namami Igarashi is a cross-dressing manga artist, the more talented Ed Wood of the mangaka set. 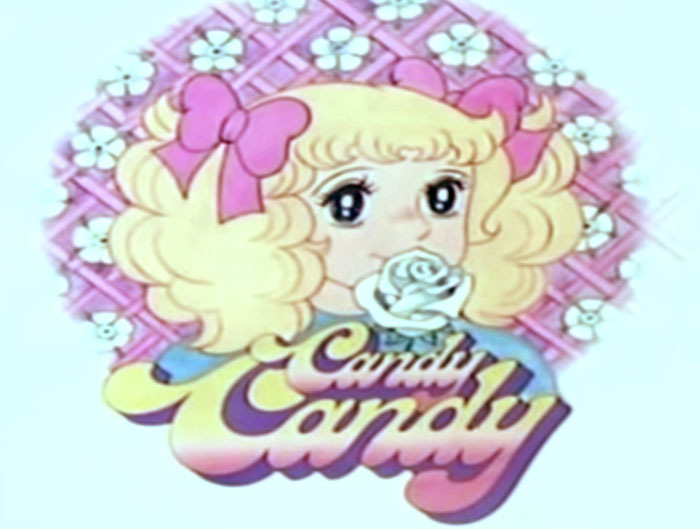 Candy Candy was even referenced on Saturday Night Live in their infamous “anime club” skit. Sadly, this seminal shoujo series now languishes in Copyright Limbo, kept from a generation of fans who would love nothing more than to open up their wallets and hurl cash at Candy merchandise. 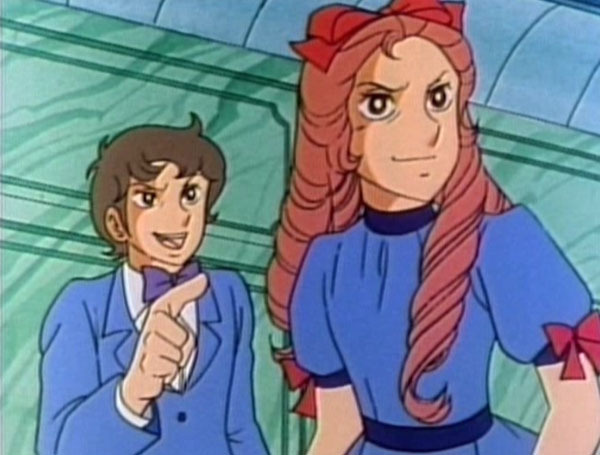 Locked away by dueling creator lawsuits and corporate unwillingness to approach a property located in such a legal minefield, Candy Candy bides her time. Mark my words; when these petty legal issues are cleared up, there will be an explosion of pent-up Candy Candy enthusiasm that will rock the pop-culture world from Tokyo to Timbucktu. The problem? 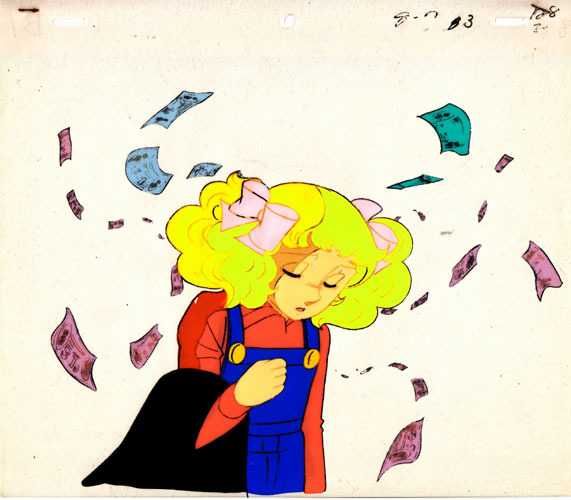 Mizuki and Igarashi shared the copyright on Candy Candy with Toei taking a side interest. However, in the 1990s, Igarashi unilaterally started selling Candy merchandise, prompting Mizuki to file suit against her. The Tokyo district court awarded both Mizuki and Igarashi joint custody of Candy in 1999. This didn’t stop Igarashi from legally challenging Toei’s TV stake in Candy, the effects of which were to cause Toei to place a hold on both the original show and any new Candy productions. With a checkered past on both sides of the law – 200,000 bootleg Candy Candy t-shirts were seized in 1979, and an attempt at selling Candy Candy puzzles in 2003 led to a 7.8 million yen judgment against the two management outfits who commissioned their manufacture – it’s easy to see how corporate Japan would shy away from the spunky orphan. 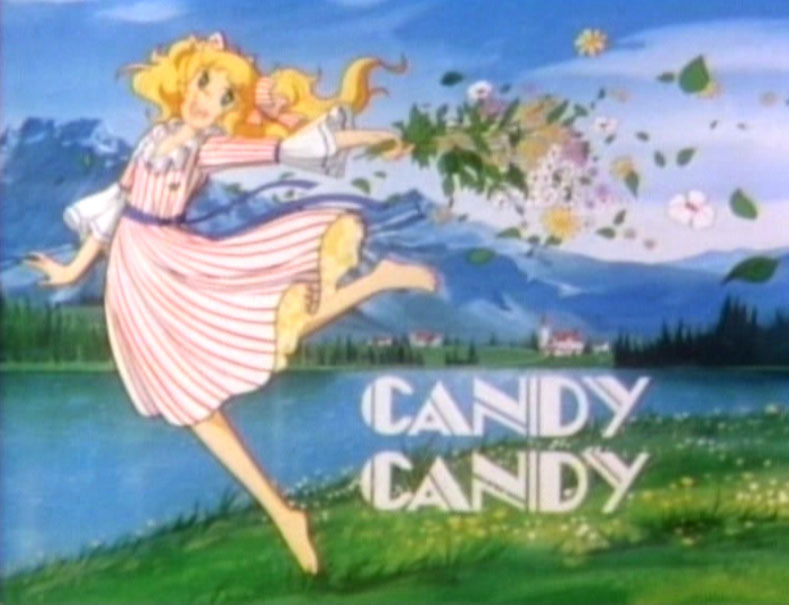 This hasn’t stopped other Candy-crazed countries from releasing their own questionably-legal Candy merchandise, and right now the only way to see Candy Candy is through gray-market DVD sets with foreign dubs or iffy subtitles in three languages. 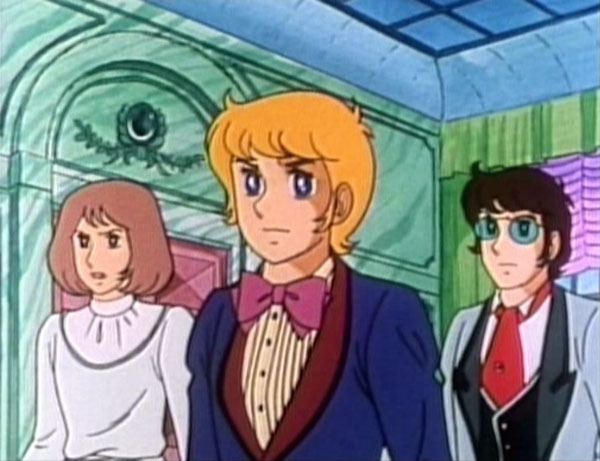 Of course, here in the new age Candy Candy can be seen in various languages on the YouTubes, but streaming video is a convenient but temporary solution. Will this embargo ever be lifted? 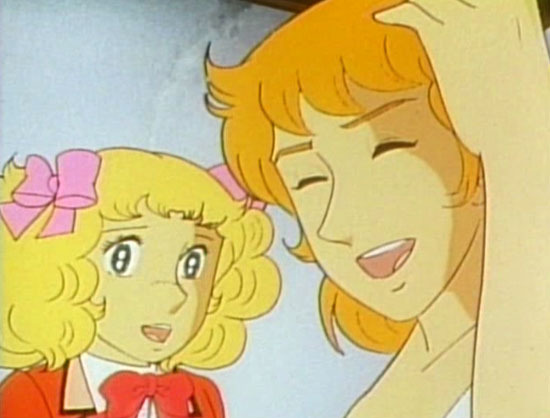 Will the three-way legal struggle ever be resolved to allow Candy Candy to once again return to and from Pony’s Home, to seek happiness and fulfillment wherever she can? One thing’s for sure; the melodramatic journey of Candice White Adley is far from over. special thanks to my Candy friends James, Neil, and Dylan, and of course the hardworking staff at Pony's Home, La Porte, Indiana.